Zest dual speed cloth cutting machine with auto oil & auto knife band sharpening devices. 6" straight knife blade model. Made in Japan. Dual speed model with HI / LO settings. 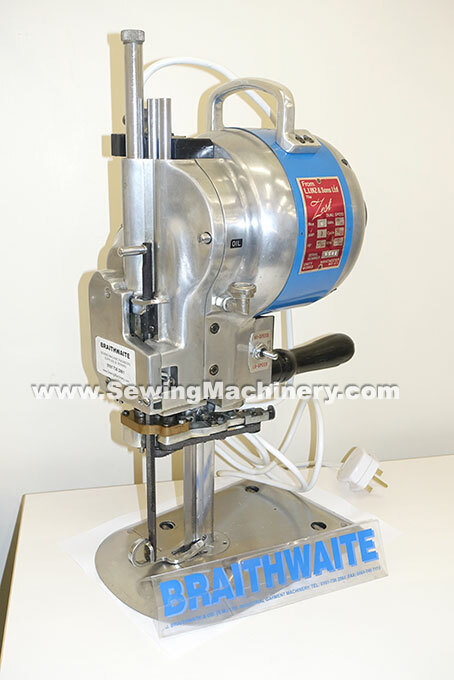 Fitted with standard type blade & sharpening bands for easy sourcing of consumables.